You know the old saying: ‘if it ain’t broke, don’t fix it,’ right? It means don’t try to change something that doesn’t need it, especially if it works well enough already. The problem with those proverbs is, if you followed that advice you’d never know if something was broken until it was fixed, or that something needed reinventing until it was reinvented. Take the venetian blind for example. Sure, the old blinds worked fine; they have served many people for many years with minimal fanfare. People lived with the multiple cords, the wonky lowering and rising, the hollow bottom bar and lack of control. It was almost as if they thought it was a good as it gets. But it wasn’t. 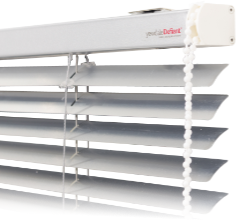 The YewdaleDefiant® VN25S is the easiest way to enjoy a venetian blind safely and comfortably. Cleverly, the YewdaleDefiant® VN25S uses a single control, a chain, that raises, lowers and tilts the slats. This innovative and ingenious method still gives the freedom of movement and positioning expected from a venetian blind yet with the simplicity of just one method of operation. Venetian blinds are practical, stylish and the easy way to shade your home. Yet, for those with small children, the multiple cords and weak slats are a concern. The single chain affords a greater level of child safety: it is easily fixed in one place using a chain tidy, making it harder for a child to get tangled up in it, and will separate if pressure is applied. The quality slats are slightly thicker than average, which means the don’t crease and are more durable. This is particularly handy for homes with overzealous pets or a nosey householder. The bottom bar is solid which makes it very stable when operated, and the single chain mechanism ensures the bottom bar is always level. The YewdaleDefiant® VN25S comes in 81 colours and a large range of headrail and bottom bar colours to match, making this blind a diverse addition to any setting. It is important to review what is current and see if there is room to improve it. That’s why Yewdale present the VN25S, available made to measure and in component form. 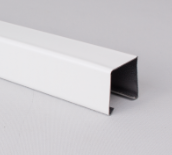 Extra deep headrail in white, also available in an extensive range of colours to match bottom bars and can be co-ordinated with slats. Cord operated tilt and lift mechanism available in right or left hand control, this is one of the unique parts that make our VN25S. 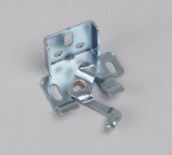 Universal swivel bracket for installing any of our venetian blinds. 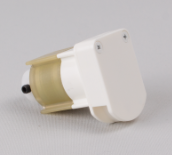 Also now available as an extension swivel bracket, part no 974017.